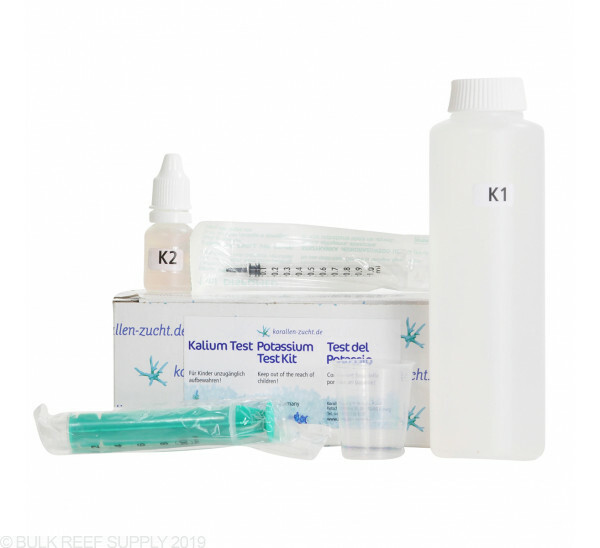 Potassium Test Kit for sea water tanks. For the precise determination of potassium in salt water. Natural potassium levels in coral reefs are 390-400 mg/L. For potassium regulation, please use Pohl’s K-Balance or K-Balance strong. Please note that potassium is difficult to test for. Most kits are either difficult to read or complex. 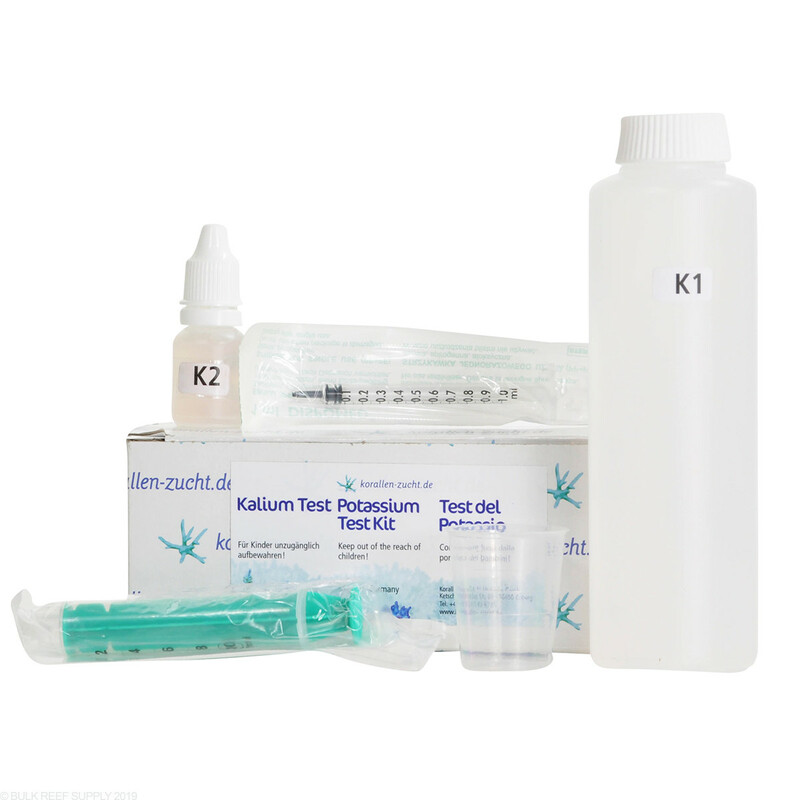 Using the Korallen-Zucht Potassium Test Kit, the current tank water potassium levels can be determined by looking through a test solution onto a color coded scale. Potassium levels around 380 mg do not change much if salt with sufficient potassium is used for water changes. A test every two weeks is enough in that case. Potassium levels can be raised slowly with K-Balance or K-Balance strong until the test shows a 380 mg. Each of the dosing amounts of these products depends primarily on the amount of inhabitants in your tank. The recommended amounts and intervals are based on average well-stocked tanks. One hundred percent of all of these elements will be taken up and used by the corals. The more animals in the tank, the more amounts you should dose to make all elements available at all times. We strongly recommend adjusting the dosing regimen based on your corals. anything between 350 or 400 looks the same. At 400, algae goes crazy. At 350, you're already way too low. Buy yourself a Salifert K test kit and save the trouble.